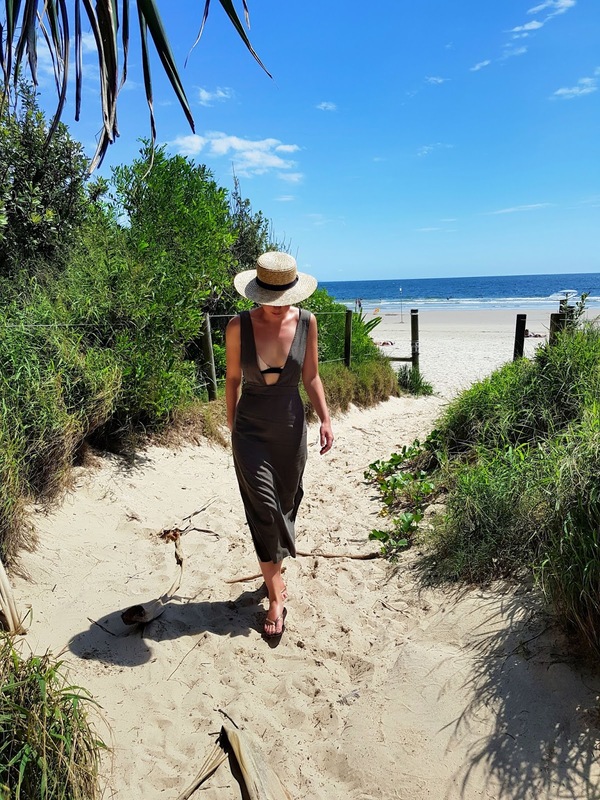 During our five week road trip up Australia's east coast, one of my favourite (if not the favourite) stops was Byron Bay. It had pretty much everything I look for in a relaxing beachside spot: a beautiful unspoilt coastline; an abundance of great cafes, bars and restaurants; independent shops; and a completely unique personality. We stayed for four days which would suit a great little mini break, but you could probably stay for a couple of weeks if you wanted more of a holiday. 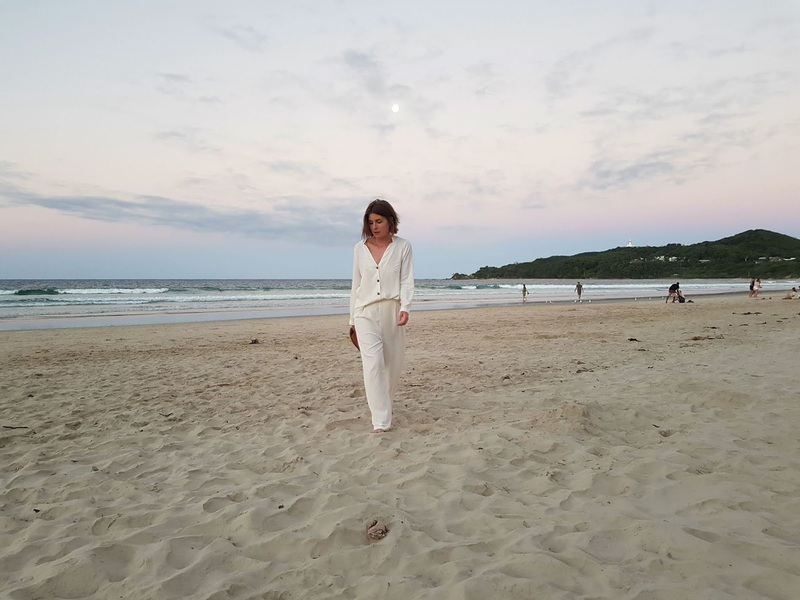 One of the best things about Byron Bay (for me) was how laid back it was, forcing (yes, forcing) you to do not a lot but relax on one of the many beaches, swim in the sea and try out a bit of surfing. 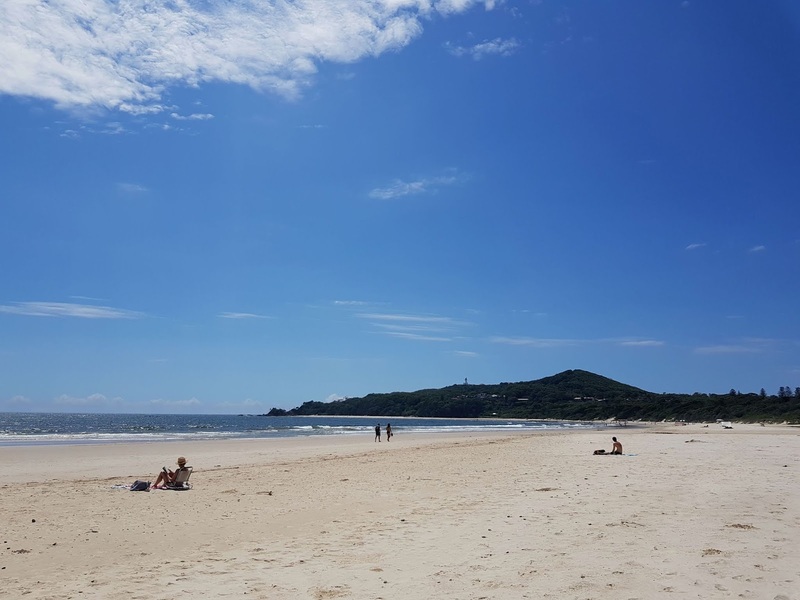 There's Main Beach at the top of the main street, which although has great views of the sea and distant mountains, can get a bit busy so keep on walking until you reach Clarkes Beach for a less crowded spot. 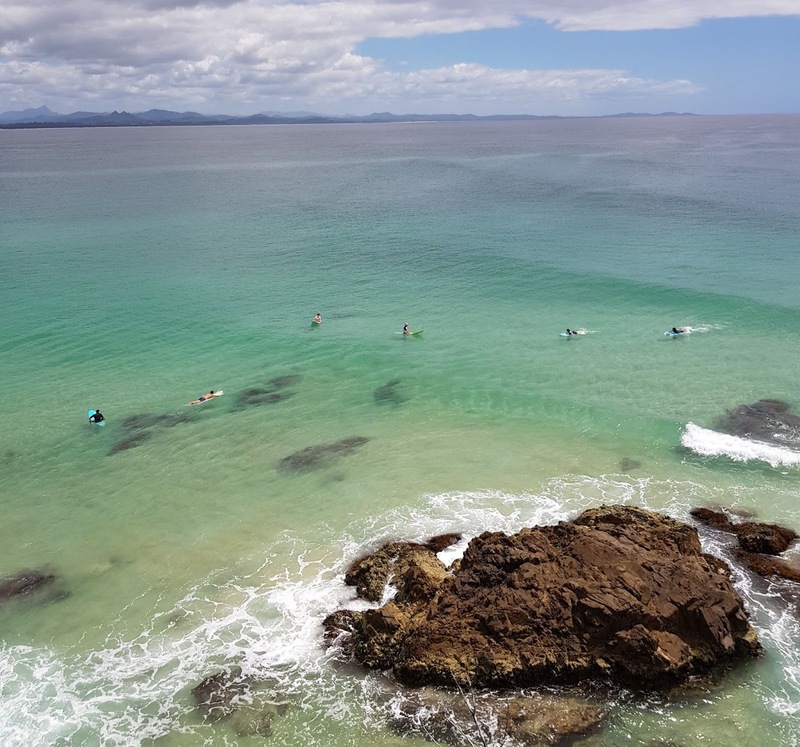 Along from Clarkes is The Pass, which is popular with surfers, while further around the coast lies Wategos and Little Wategos beaches which are smaller and less spacious but still beautiful. There are a few more too that we didn't have time to visit, but would be well worth exploring. One rare day when we weren't on the beach, we made our way to the Arts and Industry Estate just behind Belongil Beach. It was a bit of an odd place - half car mechanics and industrial park, half hidden gems of shops and coffee shops. 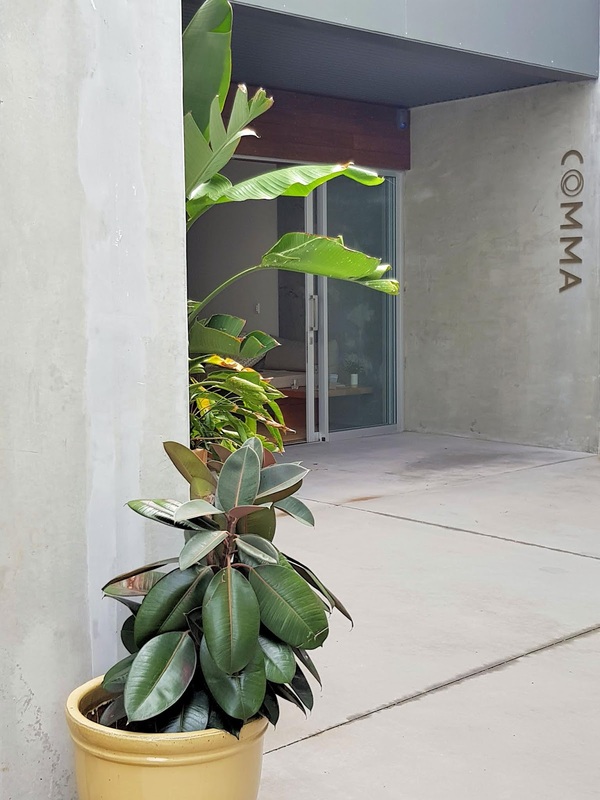 One such gem was Comma, a small modern day spa tucked away in minimal, laid back, heaven. 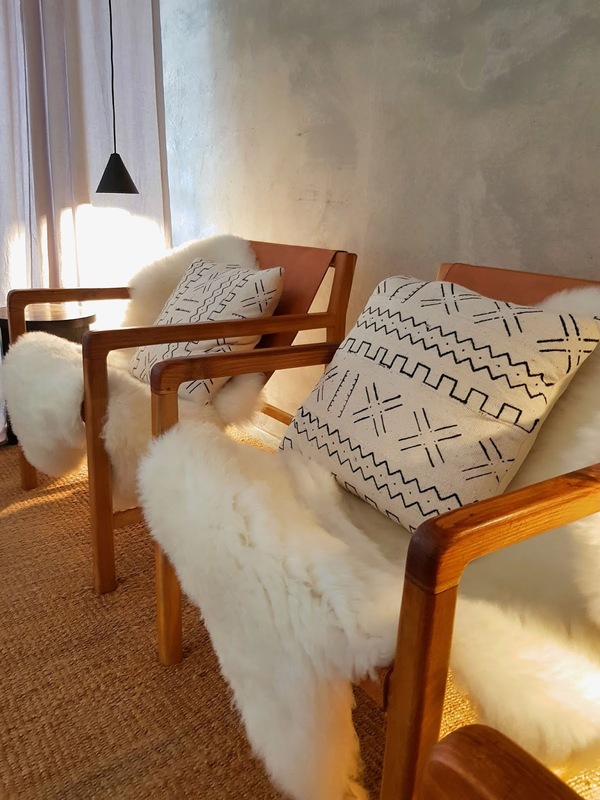 The space was full of neutral shades, raw concrete and touches of natural wood, making it look more like a stylish interiors store than a spa - and all the better for it. 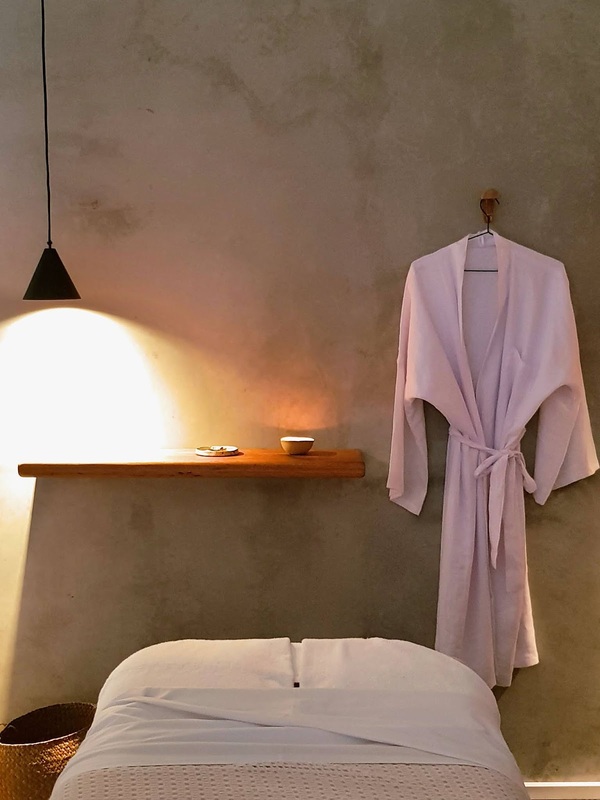 There are a few different treatments on offer depending on what you're after but I can guarantee that you will have one of the best spa experiences you've ever had. Plus, there's a coffee shop outside serving Allpress coffee and the Stone & Wood brewery across the way which offers tours and tastings. Bayleaf Cafe, 2a Marvell Street - This was actually recommended to me by Brittany Bathgate and soon became a firm favourite. The food was delicious, the atmosphere relaxed and unpretentious, and the coffee (of course) impeccable. This place is popular but you shouldn't have to wait too long for a table - if you do though. it's worth the wait. Beware though, it shuts at 2.30pm. Byron Fresh, 7 Jonson Street - Another cafe just minutes from Main Beach, which is open from breakfast through until dinner. We stopped in for lunch one day and ended up going back almost every day to buy pastries (they're freshly made each day and all go down to $3 after 5pm). The Mez Club, 85-87 Jonson Street - It was my birthday while we were in Byron and this was the restaurant we chose to spend the evening in. Mediterranean-inspired, it has great mezze share plates (I'd recommend getting a load of these rather than opting for the main dishes) in a white-washed, rattan-filled space. Miss Margarita, 2 Jonson Street - This Mexican spot always had a queue of hungry punters outside the doors and while we didn't go, I'm told it's worth the hype...think nachos, burritos and cocktails in a colourful cantina. One of the great things about Byron for me was the number of independent boutiques. 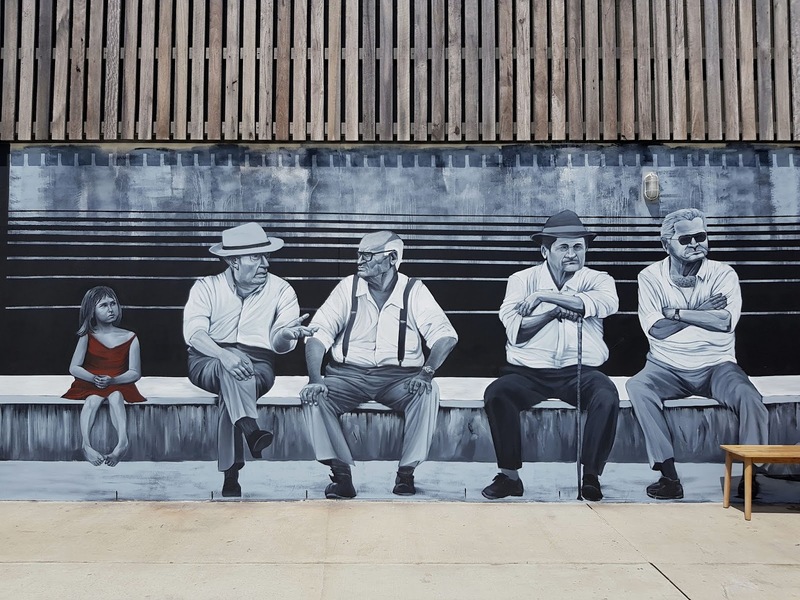 You won't find many on the main street but walk through the side streets and you'll stumble across a lot of gems. 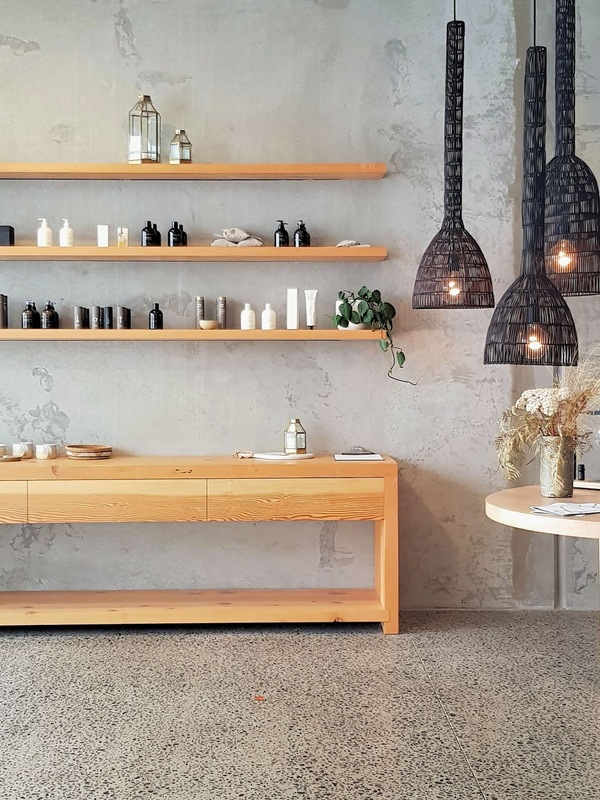 Citizen Nomade (1/30 Fletcher Street) was a standout for me, full of simple, floaty linen pieces you'll want to fill your holiday wardrobe with. 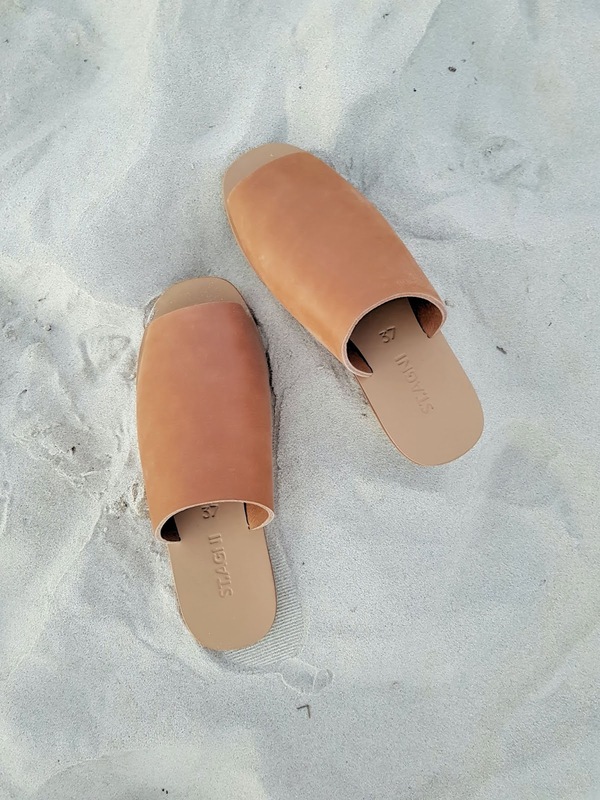 Back to the Arts and Industry Estate and you'll find Design Twins, a furniture and homeware store filled with pieces from Australian designers and ST. AGNI, which has the best selection of handmade leather flats and sandals I've seen in a long time (also available on Net-A-Porter). Just behind the estate is Habitat, a live/work/dine/retail space which is also well worth a visit - here you'll find clothing and homeware stores filled with a carefully selected range of brands and one-off collaborations.